Regardless of the type of building you have; every owner wants to get the most out of their roofing system. The most cost-effective way of preserving the life of your roof is to have a preventive maintenance plan. With preventative maintenance, the little you spend today provides massive savings in the future, sort of like an investment for the future. Think of it this way; you wouldn’t go years without replacing your cars oil or rotating its tires, would you? The same rules apply to your roof system. Over time materials wear-out and are no longer able to serve its purpose and should be replaced. Having a preventative maintenance plan in-place will help catch potential issues before it can lead to costly damages. We advise building owners and managers to schedule bi-annual roof inspections each year—preferably every fall and every spring season. 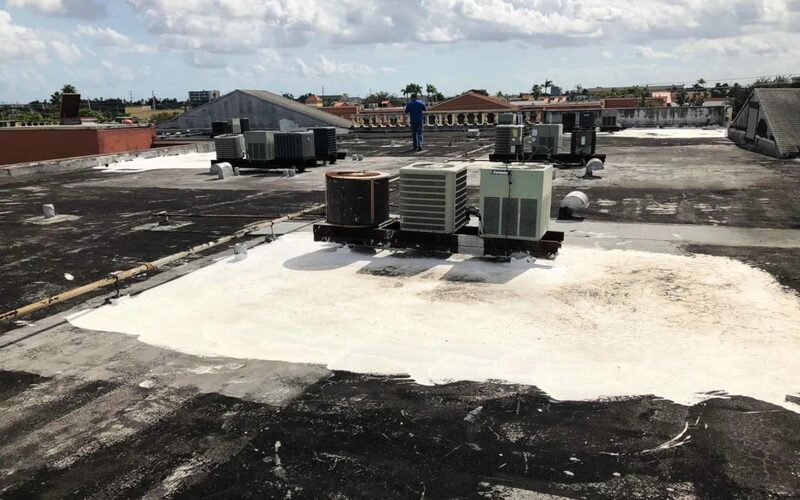 You should also have your roof inspected after any event that may have caused damage to the surface of your building (such as a fire, storm, or an adjacent construction project). A preventative maintenance plan is designed to yield long-term savings by extending the life of the existing roof system. This includes a bi-annual, non-invasive observation of your roof to identify any potential sources of future problems. If the roof is under warranty the manufacturer should be consulted to ensure the repair method chosen does not void the warranty. An observation report should be included detailing the existing condition, issues observed, and corrective actions taken. If you want big savings and an increased ROI on your roof, you need to invest in a preventative maintenance plan. Invest in a dedicated team with the right resources that knows what to look for, that can provide the right solutions and produce accurate and concise reports. Being proactive in maintaining your will not only save you money, but it will also save you time and headaches. If you would like to learn more about BEM Preventative Maintenance Plan or request a quote, please give us a call at (786) 860-2063.